Let's be honest: processed foods are having a rough time of it in the media, in science research, and basically everywhere except the national pocketbook. Consider this little article posted just this morning on how mice fed emulsifiers "underwent changes in gut bacteria and inflammation of the gut – changes that led to obesity and diabetes in these animals." What are emulsifiers? Basically, they keep foods from separating and looking like salad dressing before you give it a good shake. Foodadditivesworld.com lists the most common emulsifiers as "lecithins, mono- and di-glycerides of fatty acids esters of monoglycerides of fatty acids and phosphated monoglycerides." Emulsifiers are in everything. That soy lecithin in your chocolate bar? 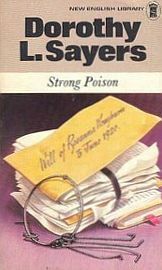 Emulsifier. Monoglycerides in your ice cream? Emulsifier. The mono- and diglycerides of fatty acids in your peanut butter? Emulsifier. Let's just hope this study proves to be an example of where the human gut and the mouse gut part ways. Don't get me wrong. I love the convenience of processed foods as much as the next person. We eat breakfast cereal by the truckload in our house (if I had a time machine, I'd use my first trip back not to save the world but just to change the breakfast habits I ingrained in my children). I use frozen vegetables in a pinch. We have boxes of (organic) mac & cheese. We have tortilla chips and tortillas and unemulsified peanut butter and Tillamook cheese. We have canned tomato sauce and tomato paste. I am not going to grow and make everything we eat. But there are processed foods and then there are processed foods. In honor of processed foods, I give you the inaugural post of Gross Groceries. A trip to the grocery store holds wonderful surprises (running into a friend) and horrific ones. I know they have cameras watching us in the store, but I couldn't resist taking a picture, when I saw this new product on the endcap. That right there would be soup in a pouch. A non-compostable, non-recyclable pouch, no less. Now, I confess--we buy exactly two cans of soup per year--the cream of mushroom to make green bean casserole. When my oldest daughter went out for her first babysitting job and was handed a can of soup to feed the kids, she looked so blank that the mom had to explain to her what to do with it. But at least canned soup comes in a responsible container! What the heck is this pouch? Is it meant to be a bota bag you squeeze into your mouth? Like--ugh--GoGurt? Actually, the soup within the pouch isn't any worse than canned soup, I imagine. True Gross Groceries should both (1) cause your toes to curl when you see them and (2) make you wince when you eat them. Probably the original Gross Grocery item is the one my twelve-year-old daughter still begs for, though I've never bought it. On the plus side, they're mostly corn chips fried in vegetable oil. After that, things head downhill pretty fast. We're talking MSG, artificial colors, four other processed corn products, synthetic flavors, and preservatives. Well, at least nothing needed emulsifying. Are Healthy Processed Foods an Oxymoron? You might have seen the headlines yesterday that profits at McDonald's and Coca-Cola dropped in the last quarter. Could it be that Americans are finally turning away from junk food and soda? The answer to that question seems to be Yes and No. Yes, Americans might finally be heeding all the warnings about our favorite junk foods, but, No, we still need convenient meals and snacks. Just give us the "healthy" stuff. The processed foods with added protein, vitamins, fiber, omega-3s, what-have-you. We'll put down the Coca-Cola and reach for the Vitamin Water. We'll bypass the french fries for the whole-grain cereal. But are the "healthy" alternatives any healthier? 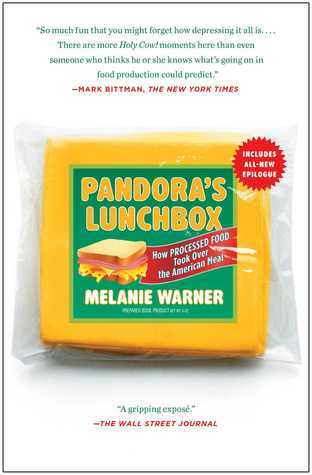 Recently I read another food-industry-investigation book, this one called Pandora's Lunchbox by Melanie Warner. Digesting a meal of whole, unprocessed foods raises your metabolic rate almost 50% over a meal of processed. When Kraft started producing processed cheese, WI cheese makers wanted it called "embalmed cheese." If soybean oil weren't bleached, it would be reddish-orange and contain beta carotene. There are 2 ways to fix our omega-6/omega-3 imbalance: eat 6-10 ozs of salmon/day (until all the salmon are overfished and gone) or cut back on processed food. Warner also includes a chapter called "Healthy Processed Foods," to look into such novelties as "resistant starch," which is "molecularly rearranged to withstand human digestion"--like fiber! Most natural fibers get broken up or removed during processing, so food manufacturers generally have to add it back in. Yes, resistant starch resists digestion, but can it reproduce the complexities of natural fiber, which comes with its own nutrient benefits that the gut processes in its equally complex ways? Who knows. Warner notes that, "between 2007 and 2011, among the eight thousand packaged products evaluated, healthier choices made up roughly 40 percent of sales but generated more than 70 percent of sales growth." "Healthy" is good business. And "healthy," as defined by the food industry means reducing sugar and fat and generally replacing them with other cheap ingredients: "zero-calorie sweeteners, starches, gums, or taste-modification molecules." Genuine healthier food items require whole ingredients and less filler--hence the high prices of KIND bars which I remarked on earlier. Can you find healthy processed foods? Since I don't think even a KIND bar can technically be called a healthy food (it's more like a healthier candy bar), the options are slim. There are roasted nuts in cans, frozen fruits and vegetables, unsweetened yogurt, plain old rolled oats. But, as always, the answer seems to be, if you want real healthy--genuine healthy--the only guarantee is to buy it yourself and cook it yourself. Our farmers market offers the best of both worlds: whole foods from a farmer or vendor who can tell you exactly where it came from and how it came to be, and processed foods, where the vendor can tell you exactly where it came from and what went into it. No weirdness, no chem lab, no fillers. So, fine, skip the McDonalds and the Coca-Cola. Our Market offers tuna and beef jerky, all kinds of baked goods, yogurt just waiting to be swirled with artisan jam, Hosui Asian pears, roasted peanuts, crisp apples and multiple varieties of pear--all to be washed down with fresh-pressed ciders or even Washington wine. Do these offerings cost more than the storebought ones? Sometimes--in the short run. The final tally on the processed foods won't be determined for years, but if the rising levels of obesity and metabolic syndrome and food allergies are any indicator, those "foods" have their own hidden price tags. So I mentioned earlier that, after reading The Zero-Waste Lifestyle, I thought I might try to cut down on the number of plastic containers I bring into the house. Sour cream containers were at the top of the hit-list, so I checked out a recipe for homemade online. Cultured Pasteurized Cream and Milk, Whey, Modified Corn Starch, Sodium Phosphate, Guar Gum, Carrageenan, Calcium Sulfate, Maltodextrin, Citric Acid, Carob Bean Gum, Potassium Sorbate (as preservative). These are my best guesses for why those ingredients are found within, but corrections are welcome! Culturized Pasteurized Cream and Milk speaks for itself. Whey is a by-product of the cheese-making industry. Because it still has nutrients in it, it's often used as a dough conditioner in baked products or a stretcher in dairy ones, such as here. Modified Corn Starch is a thickener. Sodium Phosphate: texturizer and prevents separation. Carrageenan: another gum made from seaweed extract to stabilize, texturize, emulsify. Calcium sulfate is a firming agent with preservative qualities. Maltodextrin, a carbohydrate derived from rice, corn, or potatoes, fills and thickens. Citric Acid enhances tart flavors and preserves food. Carob Bean Gum is another thickener. Potassium sorbate functions as a preservative, inhibiting the growth of yeast and mold. As you can see, not bad for a processed food. Most of the ingredients are pretty harmless, and the preservatives and stabilizers wouldn't be so necessary if I were at the Darigold plant, spooning the sour cream right on to my enchiladas. But processed foods have to brave the passage of time and the ups and downs of transportation--hence all the stabilizers and preservatives. Whipping cream and buttermilk. Which I then mixed together in the above proportions and let sit on the counter all day, loosely covered, until I went to bed. Things looked rather grim at first, like lumpy cream in a jar--oh, wait, that's actually what it was! But it did finally set up by the end, and I covered it more tightly and stored it in the refrigerator. Today I'm serving up the black-bean-and-cheese enchiladas, and we'll see how it goes. When I stirred it this morning I found it just a little thicker than a Mexican crema and less tangy than a storebought. Next time I might try heating the cream, as the recipe suggests, to get it to set up thicker. Another suggestion was to add dry milk powder, but I'm not a fan of that, since the whole idea was to get away from processed foods. I'll definitely play around with this more, but processors have the advantage on me: homemade sour cream is more expensive than storebought because whipping cream is pricey, especially if you use an organic or local, smaller-farm brand. For this reason, I can't give this the #OrganicTightwad label, but you may want to give it a try as a special treat. Next up: homemade laundry detergent! In any case, I was on a vacation in more ways then one because I ate stuff on this trip that I hadn't touched in years. Cheetos, for instance. As yummy as I remembered, and, in case I needed the reminder, the in-flight magazine on the way home had a story about a Spokane company that makes biodegradable packing peanuts that are extruded just like--uh-huh--Cheetos. My sister bought strange pre-cooked Oscar Mayer bacon that was shelf-stable in boxes. There were Thomas' Sourdough English Muffins that didn't have a nutritional molecule to their name, and my youngest ate Fruit Loops the first day and Corn Pops the second. To my amazement, I read the box and found that a serving of Corn Pops contains two grams of dietary fiber. How about that! My niece celebrated her ninth birthday with a "Funfetti" cake, which tasted like every other white/yellow boxed cake you ever had, but this one had the special addition of those baby glops of wax and sugar and food coloring dear to every child's heart and better known as "sprinkles." Then there was the meal that I sprung for--we couldn't find the pizza place in Tahoe City and ended up at the Safeway to buy--drumroll please--frozen pizzas and lasagna! All of which is to say, I'm not in the position to offer any food advice this week except Do as I say, not as I do. If you haven't clicked away from this post in disgust, you might be interested in the NY Times' Opinion Pages take on "Eat Real Food." On the other hand, I was pleased to read that Organic Valley milk in Northern California (don't know about Southern) comes from Northern California. The dairy farm advertised on the carton hailed from the Shasta vicinity. Just for fun you could check out their "Organic Counts" quiz to see how much your personal eating habits are saving the universe. But I wouldn't recommend doing it right after a processed-food vacation in Lake Tahoe! Well, I'm here to encourage us non-exercisers (and if you are a regular exerciser, you can just feel extra smug while you read the rest of this post): exercising isn't the only way to improve your health. Diet is the other. And New Year's Diet Resolutions have a better shot of becoming habits. Dump one processed food product permanently. It could be cake mix or pancake mix, storebought cookies, instant oatmeal, protein bars, anything! 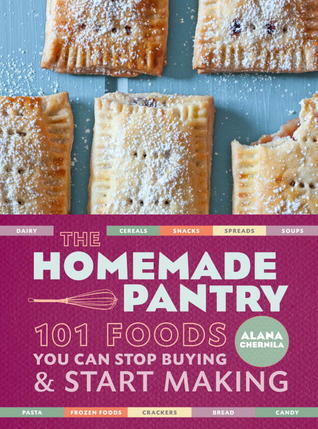 If it's something you could make easily at home, try it. I would love love love to get my family off breakfast cereal, but they gag over anything porridge-like, and I gag over the thought of having to cook every morning. If you can't afford organic dairy, at least go hormone-free. As Prevention put it in their article entitled "7 Foods That Should Never Pass Your Lips," growth hormones lead to "higher levels of a hormone called insulin-like growth factor in milk. In people, high levels of IGF-1 may contribute to breast, prostate, and colon cancers." Eeks! When it isn't Bellevue Farmers Market season, our family tries to stick to Organic Valley (pastured products) or at least Tillamook (hormone-free). Pick the one food your family eats regularly and make sure it's the best you can afford. If it's salmon, stay away from the farmed stuff. If it's ground beef, go for grass-fed or switch to buffalo. Going with the farmers market options may cost you more in the short-run, but hey--you may get to avoid the Rascal scooter later, and that's a savings. Eat vegetarian for one dinner a week. If you already do this, try two meals. This can defray the cost of Resolution #3. Our family regularly does breakfast burritos or lentil soup or homemade mac & cheese. If you must have some meat, it could just be some Skagit River Ranch bacon thrown in for flavor. Stay away from soy. As I've noted in this blog, 90% of soybeans grown in America are genetically-modified to resist Round-Up. Processed soy has been linked to hormone issues in people and possibly to the rise in food allergies. This is a toughie to eliminate because the American soy surplus, like the corn surplus, motivates the food industry to find millions of uses for it. Other than the tried-and-true fermented soy products (tofu and soy sauce), we stay away. Serve two healthy vegetables at dinner. Potatoes, corn and bagged-lettuce-salad covered in soybean-oil-based dressing don't count. In fact, you better add a third vegetable to the meal to make up for them. If you have food resolutions for the New Year, feel free to share. My personal ones for 2011: (1) switch from canned tomatoes to boxed--per the abovementioned Prevention article; and (2) dump the seed oils (canola, safflower, etc.) for olive oil, butter, and Skagit bacon fat. Consider the meal I just served up: Skagit River Ranch breakfast sausage, Skagit River Ranch eggs (scrambled), organic (storebought) applesauce, and toast (made out of organic, storebought, HFCS- and soybean-oil-free bread). Other than frying up the sausage and scrambling the eggs and hitting "toast," I really didn't do a thing for this meal. When my husband gets home, he can scramble himself some more Skagit eggs and throw in some Whole Foods spinach. So, effectively, we ate a semi-typical American meal, in that a high percentage of it was processed. In other respects it was entirely different, being free of green-guilt and curious additives. The New York Times recently ran this interesting graphic, comparing American eating habits with others' worldwide, and--surprise!--we win again. This time the medal is for Highest Consumption of Processed Foods. Our family is doing its part--breakfast cereal like it's going out of style, dairy products, salad dressing and condiments, dried pasta, bread, canned vegetables (BPA, or no BPA). And we're a household that actually cooks six days a week, tonight's meal notwithstanding. If you're like me (i.e., lazy), you'll just think, "Dang it!" and, after stifling that twinge of guilt, keep on with your processed ways. But for those of you who have already purged your pantries and churned your own butter and wonder if there are any mountains left to climb, you may want to check out this NPR article on window farming. Seriously. These people set up hydroponic systems in their apartment windows made out of bottles and such and swap tips online with each other and grow everything from herbs to peppers(!!!). Let me know if any of you out there give this a try. We'd be happy to drop in for dinner and help you eat some of your harvest. I'll even bring the bottle of balsamic vinaigrette.